Pinecam.com • View topic - February is Pet Dental Month! Save $50! 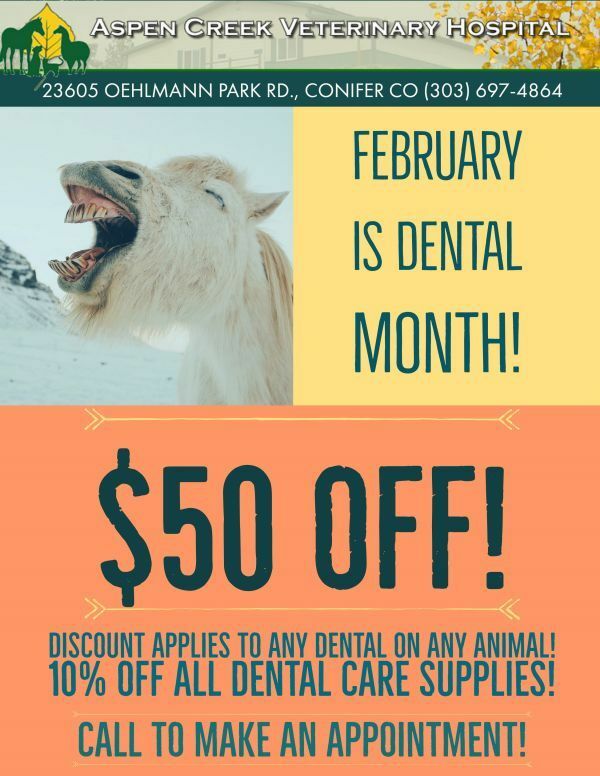 Post subject: February is Pet Dental Month! Save $50! Call the Office at 303-697-4864 to schedule your appointment for your dog, cat or horse!